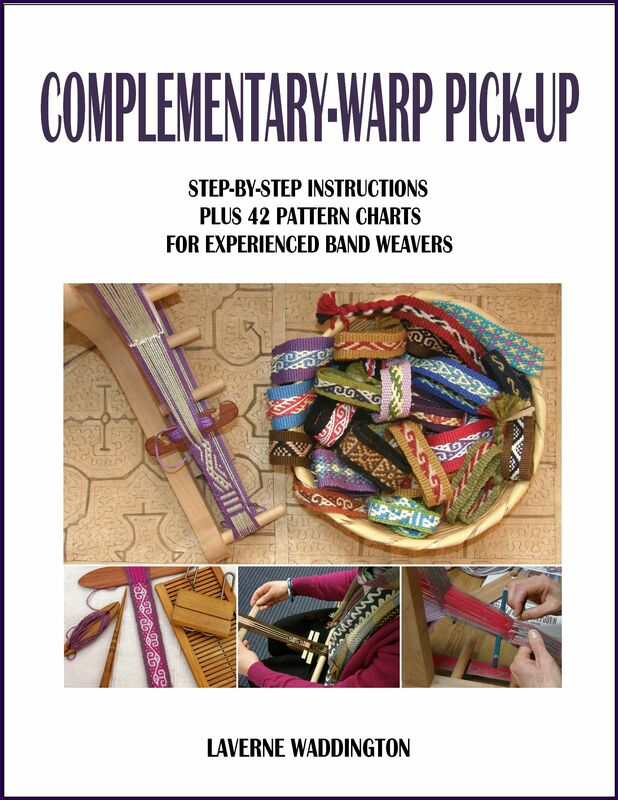 Click on these linked titles to see separate pages for my sets of pattern charts……. 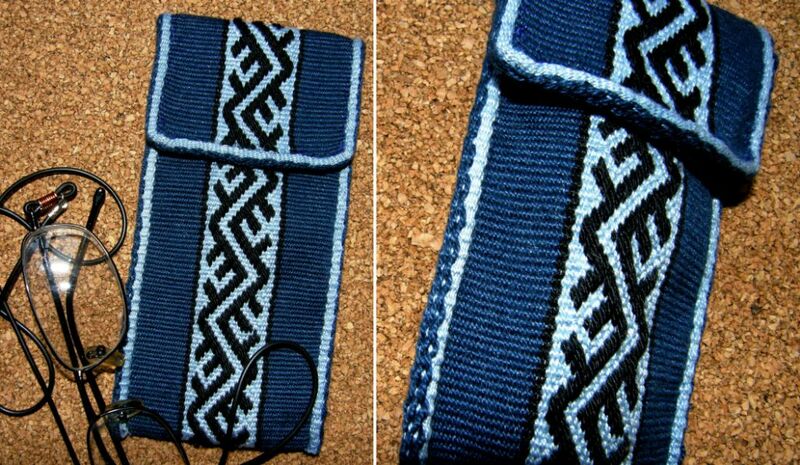 A design from the central Bolivian highlands in supplementary warp technique. Thank you Ellen!! Never thought about that…………. Thank you! I will try it out. With this opportunity I want to wish you all the best, have a very nice time at Christmas and I hope the New Year will bring all that you wish for…..
Best wishes for the holiday season to you too Laura! 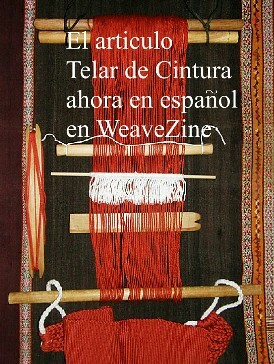 I wish you a lovely Xmas and a 2010 full of new weaving beauties. The very same to you Helena. 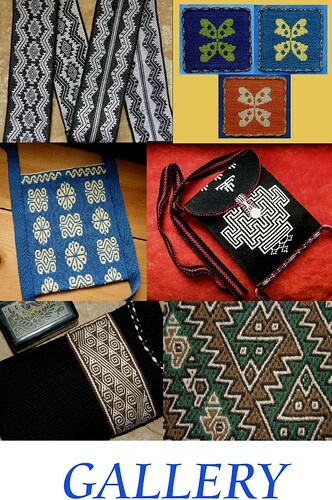 Keep inspiring us with your beautiful Hui Kuin design weavings. 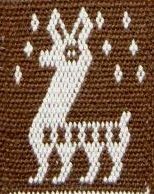 I have now sorted out how to do the ends of my mug rugs, and will have a go at one of your designs soon. Great, Jill! I would love to see a picture when you are done. Hola, mira la verdad no se si entiendas el español, pero por lo que he visto en tus blogs o en Weavolution de tus viajes creo que si. Bueno, te escribo para que me ayudes a entender bien el telar de cintura, pues la verdad se me dificulta hacer dibujos; hacer tejidos balanceados o llanos sin dibujos ya lo domino, pero lo demás no. Y aunque he visto tus páginas, la verdad no domino muy bien el inglés y me confundo. También he buscado libros sobre el tema pero no he encontrado. Bueno por el momento me despido y espero me puedas ayudar. Gracias por tu visita. Espero que vuelvas. Te puedo recomendar un libro en espanol. Te enviare un email. thank you ever so much for sharing!! 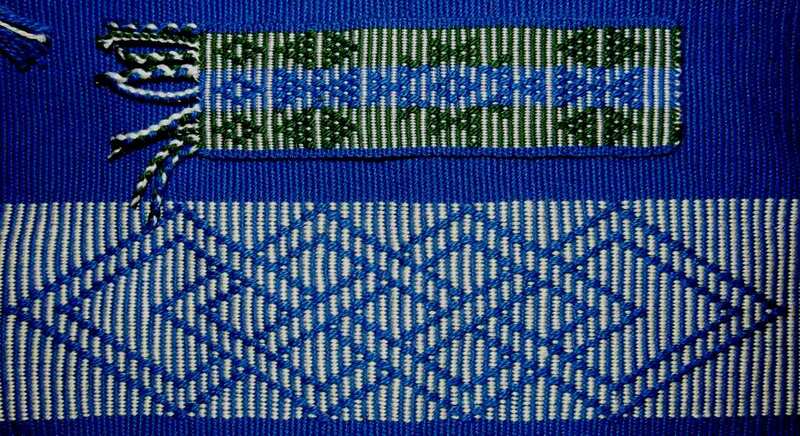 I’ve always been fascinated with backstrap weaving but couldn’t seem to learn much about it. You have broadened my world! 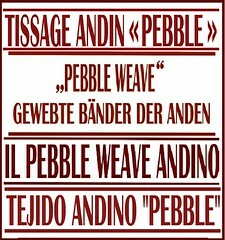 This is a style of weaving that I would like to try, as it would require less space. Now that I live in a smaller home and have asthma, I need to sell my rug loom. 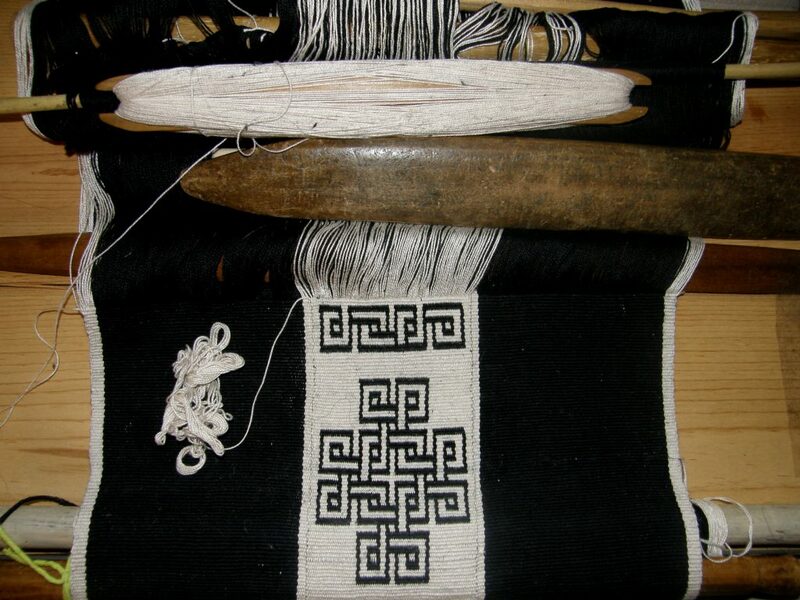 I will not give up weaving, somehow! 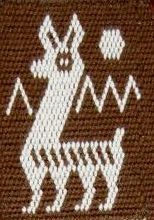 Where could I find a backstrap loom? Do you spin all your cotton? Or, where is your source of yarn/warp? I am in Bolivia and not in one of the traditional weaving areas so I just buy crochet cotton for just about everything I weave. 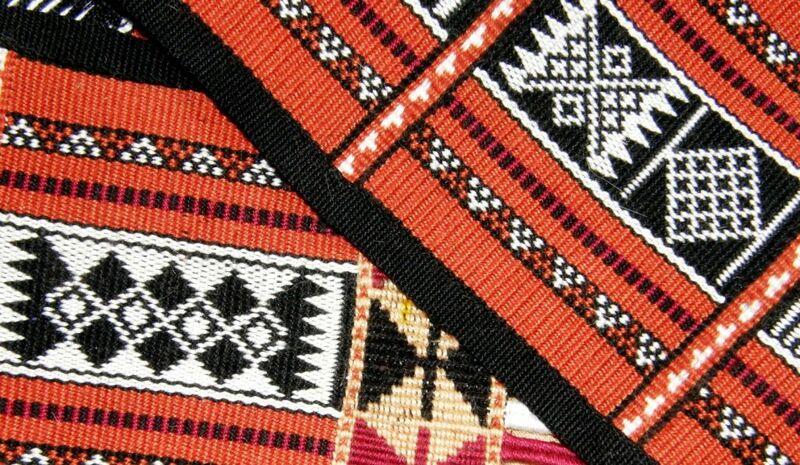 Mercerized is best as it stands up well to the abrasion of warp faced weaving. You could buy wool but you would need to respin it-tighten it up so that it is strong enough. You know the backstrap loom is basically a bunch of dowel rods or cut down broom handles. Did you read last weeks’s post on my blog about how to put one together? I believe that Harrisville sell a backstrap loom and that it comes with a rigid heddle but I have never actually seen one. 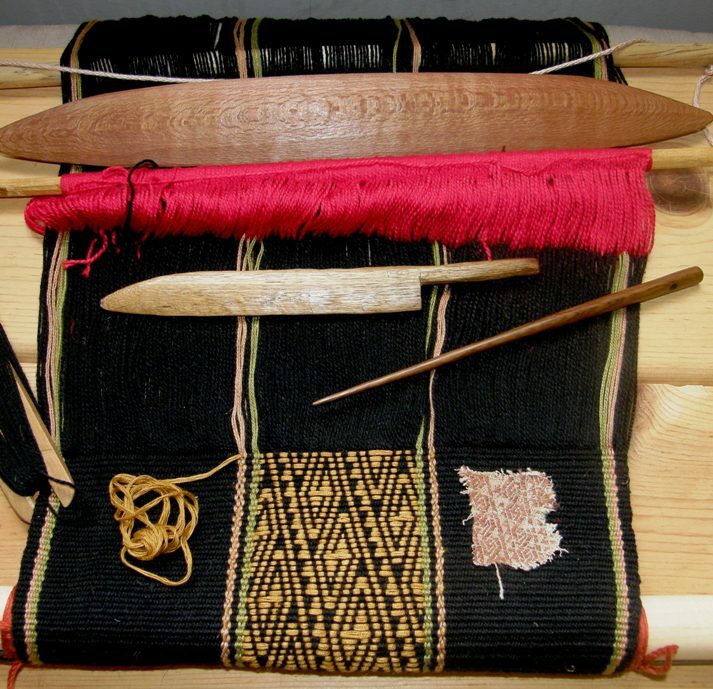 Weaving Southwest also make and sell a loom complete with leather backstrap. Where exactly do you live? I live in Iowa and did order a back strap loom. Now, to get at it! Have to find something to attach it to. Will have to sit in a chair as I can’t get up and down from the floor. What would you suggest for a first time project? Your designs are beautiful and very ambitious. You are generous in sharing your patterns. Thank you. I hope that I can someday utilize them . Thank you for sharing your designs. I have to say the very first photo or the project in black and red really spoke to me. I really want to try to make something like that. I hope you do. I have a tutorial for one-weft double weave on Weavolution but I’ll be setting up those instructions on a page here at my blog soon. Perhaps there is a weaving guild in your area where you could go and see some weavers at work and see how the sheds are created on other looms too. Saw another post with some beautiful belts you had made. Where do you get the flat metal crimps for the ends of the belts you’ve made? 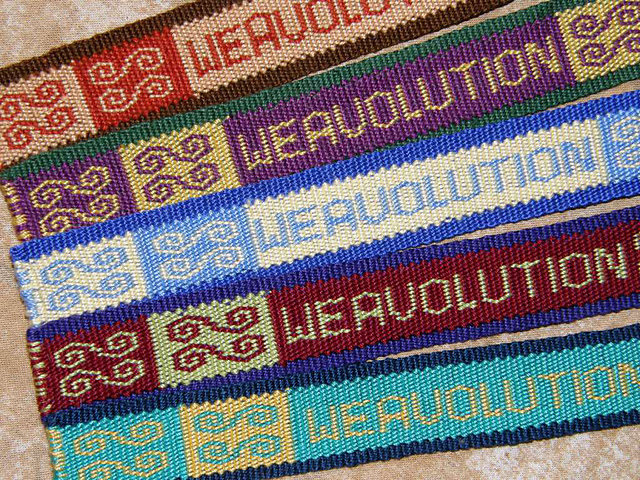 I’d love to try weaving a belt, which seems like a practical and complete-able project, but I worry about a messy end. 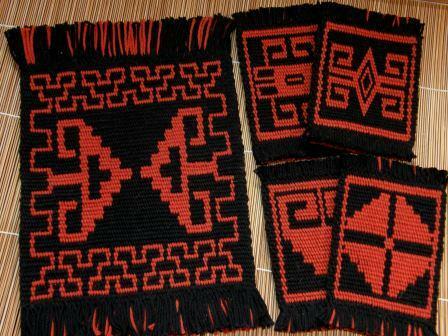 I live in Bolivia and the craft stalls in the street markets sell them. I have heard that you can get them in army disposal stores in the US and perhaps in other countries. Wow really nice!! 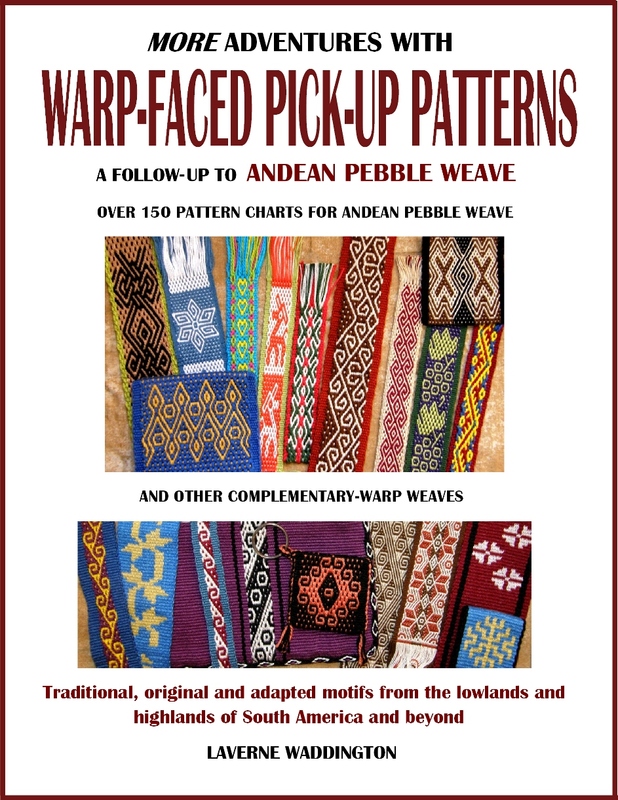 This is something i should try, always interested in weaving but never really tried. 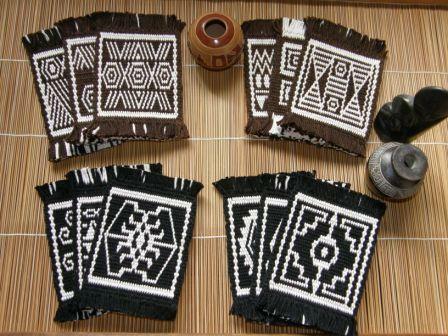 Hi, after reading your commen,t I looked at many beautiful images online of Pua Kumbu textiles. As for trying something like that myself….I would need many more lifetimes!!! 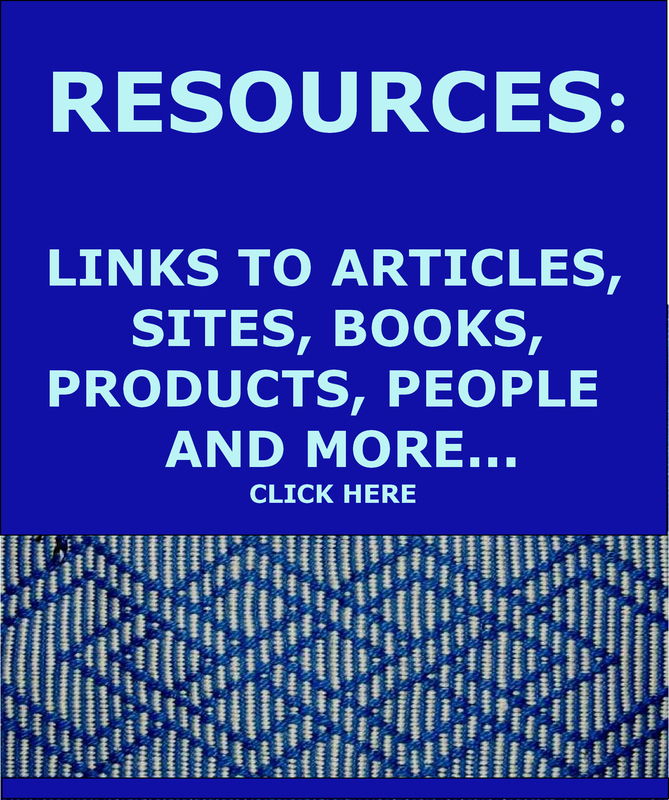 What a rich resource you are! Your vast website shows the Incredible time spent sharing your expertise. I found you searching for help to identify a few vintage/antique textiles I own. I do not see your email address in order to send pics. but first, of course, seek your okay to do so. Thank in advance of yr reply. Pearl Arrow in SF Bay Area. Hola Carolina. Te puedo recomendar el libro Manual de Telar Mapuche…. Excelente!! !, muchas gracias,me gustaría poder leerlo en español, su trabajo es muy motivador. Sigo aprendiendo de donde pueda.